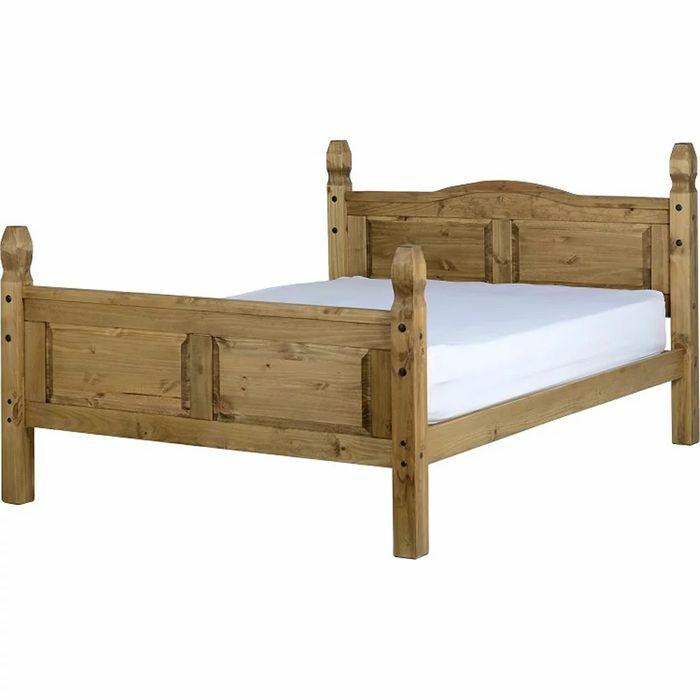 The Corona King-Size Bed Frame is made from solid pine with a distressed waxed finish. Stylish and sturdy with a high foot end, this slatted bed frame is sure to bring a sense of class to any bedroom and will complement a variety of decor styles, from country chic to industrial or traditional. Assembled Size: W 1630 x D 2145 x H 1170mm. Bestoffer haha yep I worked that out too.